Cover your ears, Mario Batali, we’re doing unspeakable things to prosciutto. 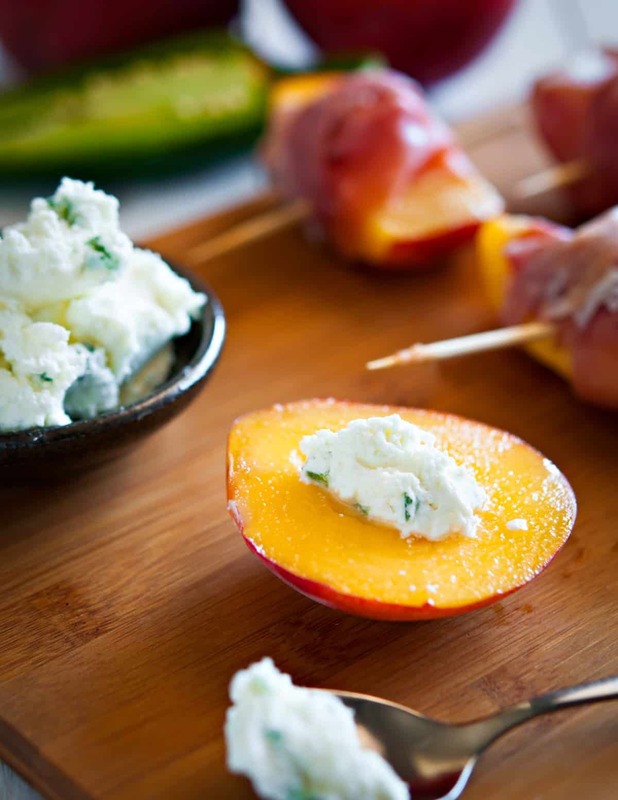 I filled sweet, juicy peaches with of a tad of jalapeno goat cheese and wrapped them in salty prosciutto. Then, I broke the rules and threw them on the grill. 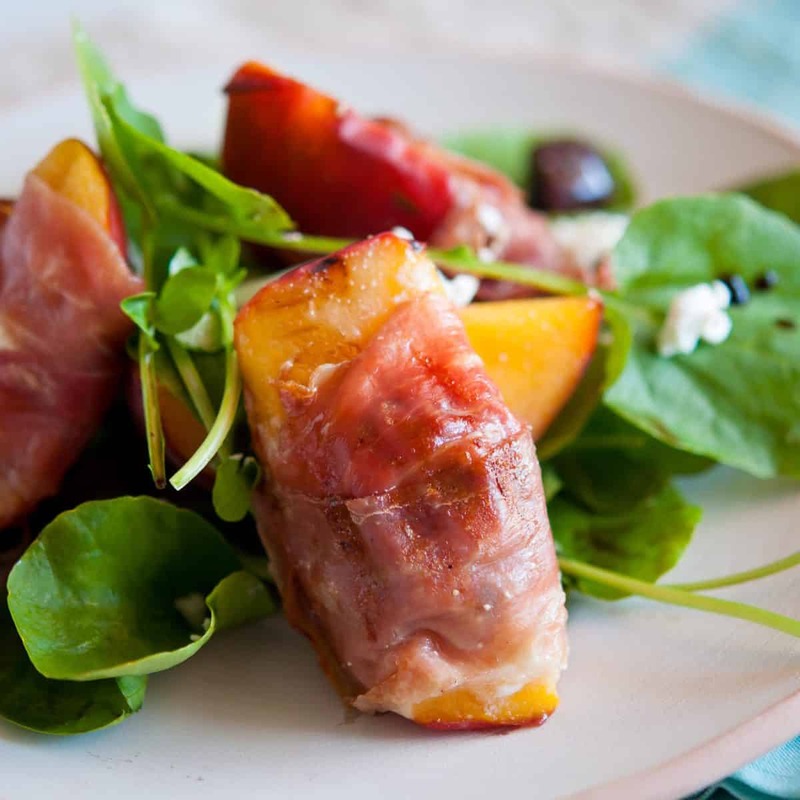 Not for long, just long enough to warm the peaches, melt the goat cheese, crisp up the prosciutto and make peaches the star of this salad. I’ve had peaches on the brain lately. If anything can send me “traveling through another dimension, a dimension beyond sight and sound, a journey into imagination…” and childhood, it’s peaches. About a week ago, I was featured in a Blogger Spotlight on Taste and Tell. Deborah (the creative genius behind the Taste and Tell blog) asked so many great questions about my favorite recipes, favorite blog posts, favorite childhood food memories that she got me feeling pretty nostalgic and craving peaches. After reminiscing about peaches for a while, I realized I hadn’t done anything wild or crazy with them all summer. Of coarse, I’ve made lots of my family’s favorite peaches foster and lots of peach cobblers this summer. But, I needed to do something rebellious, a little dangerous, to keep with my “breakin’ the rules” attitude this summer . 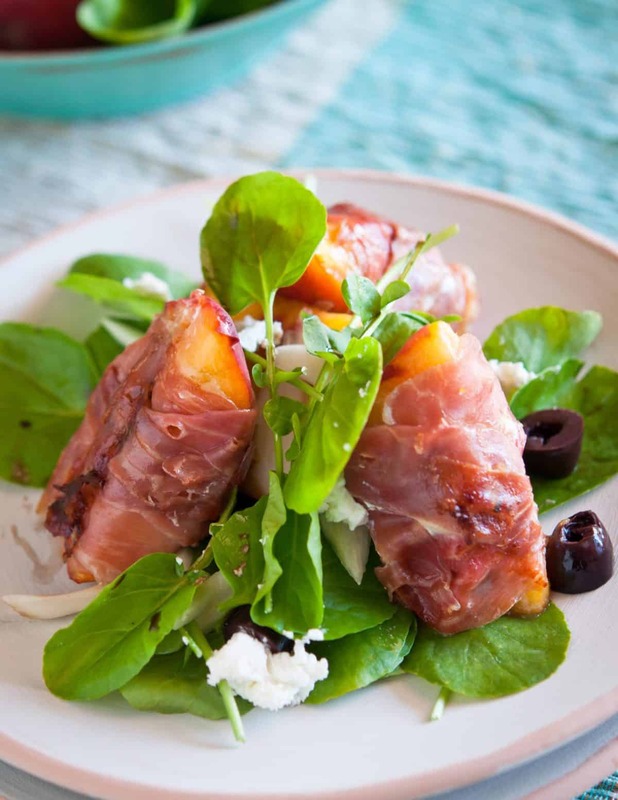 This is what I came up with; an “all grown up” salad with peaches wrapped in prosciutto, stuffed with goat cheese and grilled until crispy on as many sides as possible. I know, someone said you aren’t supposed to cook prosciutto… that’s what makes it so dangerous. This salad is really easy, actually. Just choose the most perfectly ripe peaches you can find. Cut off the “cheeks” and use the tip of your knife to make a small well in the center to place a dollop of goat cheese filling in. Then (and this is the only tricky part), wrap the peach with prosciutto and secure with a skewer or toothpick making sure the prosciutto completely covers the goat cheese so that it will not drip out when melted. Grill the peaches over medium high heat until the prosciutto is crispy on as many sides as possible. Toss some greens with shaved fennel and black olives in a light vinaigrette, sprinkle with some crumbled goat cheese, drizzle with balsamic reduction and serve. What?! You don’t like goat cheese? You don’t want to live that dangerously? No problem. Just substitute some feta or mascarpone cheese and you are good to go. In a small bowl, mix the goat cheese or feta with the minced serrano chile. Add milk to make the cheese a little creamier so it will stay together but, not be too soft. Shave the fennel on a mandolin or slice very thinly with a knife. Place in ice water until read to serve. Slice pitted olives and set aside. Cut peaches in half and remove pit. Cut into quarters. With the point of your knife, scoop a small circle out of the center of the peach quarters. Place a dollop of cheese mixture (about the size of a marble) into the center of the peach. Wrap the peach with procsiutto or bacon making sure to cover the cheese well. If the bacon is too thick, place between two pieces of parchment paper and pound with a mallet to thin. Secure around the peach with skewers. Grill the peaches until the prosciutto or bacon is crispy on all sides. Drain fennel and toss with the watercress and olives. Whisk the balsamic vinegar into the olive oil to emulsify. Add salt and pepper. Dress the fennel and watercress mixture and place on salad plates. Thanks for stopping by our blog! Be sure to keep in touch with us. 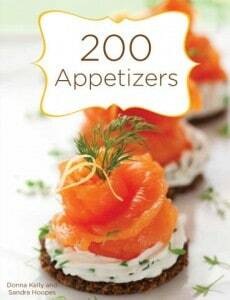 You can sign up free email updates or follow us on Facebook for more fun and dangerous recipes. Oh my, really a brilliant idea. I think Mario would be proud! 🙂 I love peaches and this salad looks incredible! I am drooling. This sounds delicious. And what a beautiful picture.